She was sitting close to the edge of the cliff, relaxing and happily taking photos. 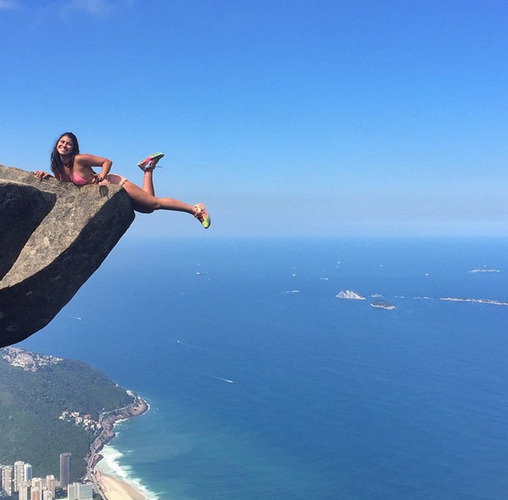 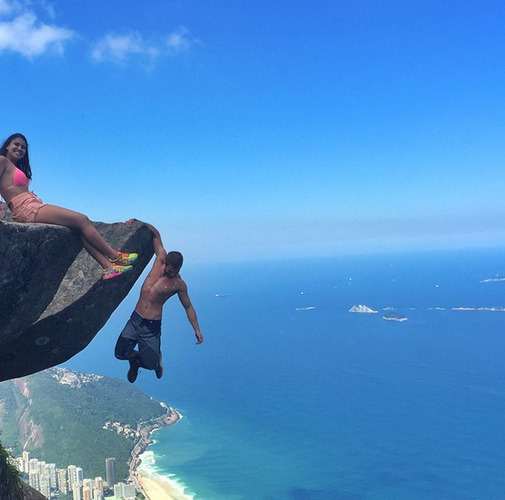 What people didn't know was that Leo and Victoria, both Brazilians are a cliff hanging couple. 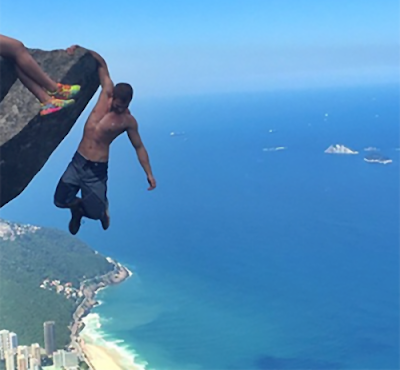 This is what they do to have fun, hanging off a cliff face over a 3,000 foot drop with nothing but their arms to keep them from falling. 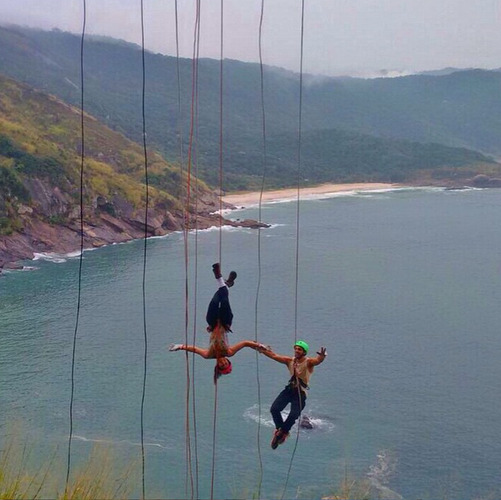 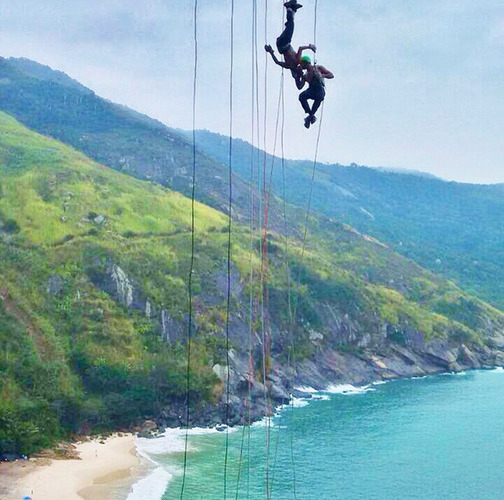 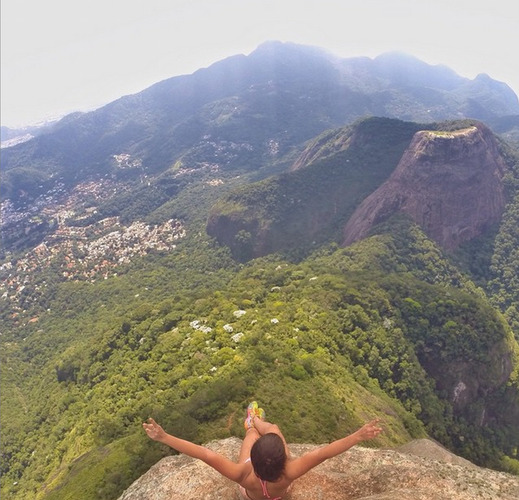 The couple post their death-defying stunts on Instagram and now have thousands of followers. 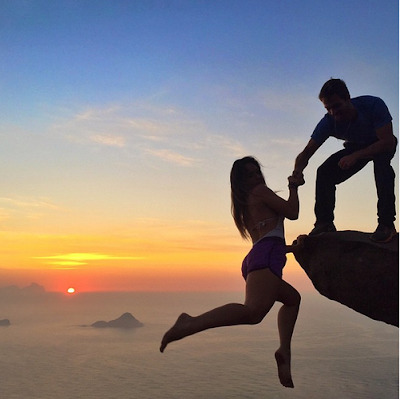 They met while rock climbing.